The Ridge Casino values the role played by the media in communicating our objectives, developments, and updates to the public.  Our external communication strategy is designed to engage media sources to provide current, accurate and relevant information regarding The Ridge Casino. We recognise the need for efficient public communication to inform our guests, and the public of newsworthy developments at The Ridge Casino. In line with professional standards, and our mandate to create great experiences, we strive to create a climate of positive and productive interaction with the press as well as our guests.